We offer a wide range of standard wood closure strips, specialty wood stiles and laminated wood posts. When your project calls for something that’s truly unique, our product development engineers are at the ready to customize a solution just for you. Whether ordered by the truckload or as part of a mixed load, our specialty wood products are custom-designed to your unique specifications. 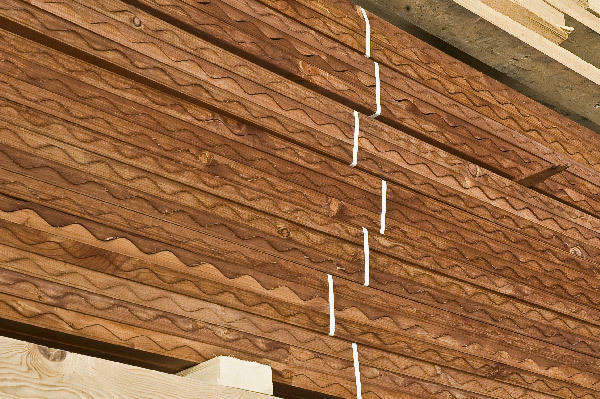 Our wood closure strips are produced in a variety of profiles and delivered pre-packaged, labeled and bar-coded ready to stock on the shelves at home improvement stores and building materials retailers. And, to reduce waste and help protect the environment, we convert scrap lumber into solid wood posts that are available in a variety of dimensions, lengths and finishes. Posts are finished with a thin piece of clear wood laminate on each face to achieve the appearance of solid clear lumber.